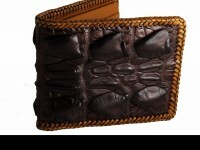 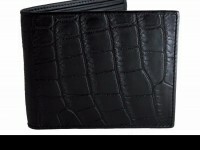 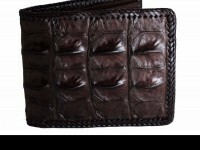 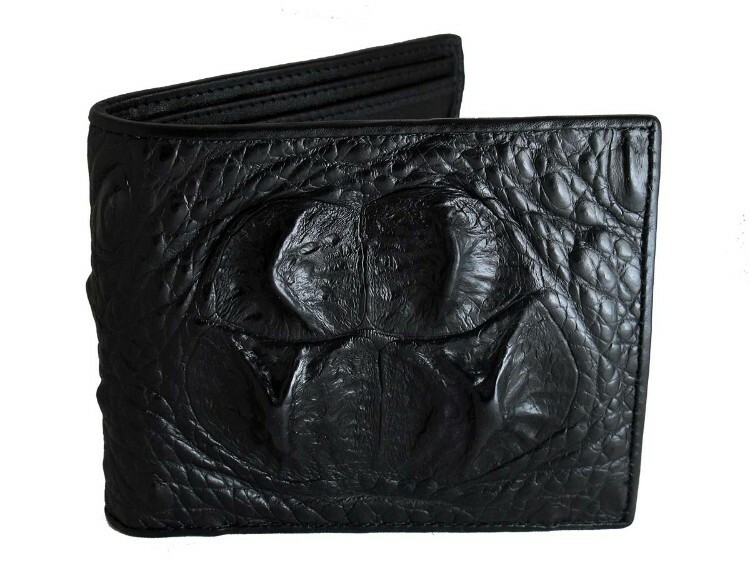 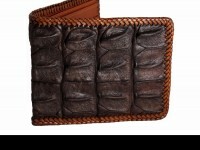 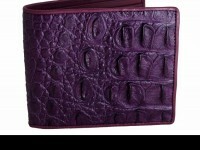 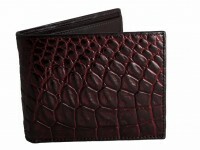 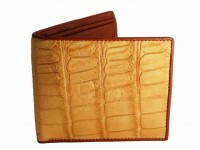 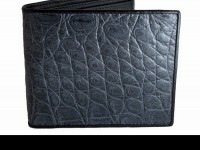 Made from a large croc, this is a stylish "croc head" mens crocodile wallet and a must have accessory for any man with an adventurous spirit. 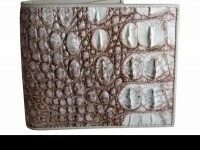 This ones polished to a high gloss and has a crocodile skin interior. 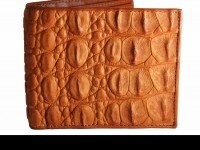 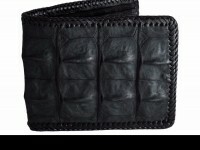 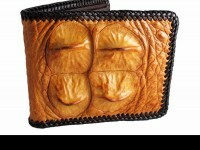 Seriously tough, this is no average mens leather wallet.